As promised, Build-A-Bear Workshop has launched their Pokemon Alolan Vulpix bundle that comes complete with a 13-inch Alolan Vulpix plush, an Alolan Vulpix Cape, an Alolan Vulpix Sleeper, an Alolan Vulpix 6-in-1 sound, and a Build-A-Bear Workshop Exclusive Pokémon Trading Card Game card! The Alolan Vulpix bundle is an online exclusive, so the only place you can get it is right here. 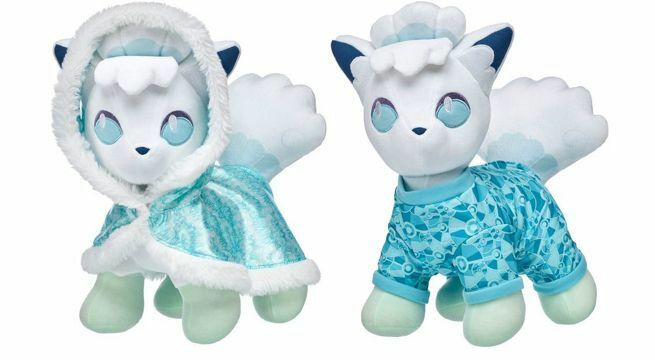 If you don't mind missing out on some of the items in the online exclusive, you can save a few bucks by getting the Make-Your-Own Alolan Vulpix plush and Alolan Vulpix Cape separately at all U.S., U.K. and Canada Build-A-Bear Workshop stores starting today, September 13th. It looks like the bundle will be worth it though. On a related note, today is the last day to take advantage of Build-A-Bear Workshop's online-only Game On! sale that slashes the price of select Pokemon plush bundles by 25 percent. You can shop the entire sale right here until the clock strikes midnight. The sale includes the following Pokemon bundles: Pikachu, Jigggypuff, Eevee, Charmander, Meowth, and Squirtle. Being bundles, they include several different costumes and accessories that you can't find in stores. 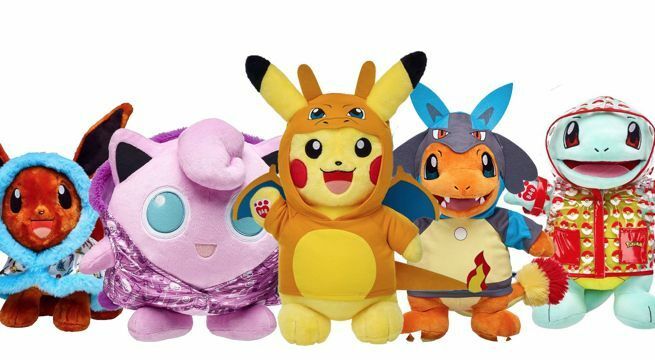 Deals on Build-A-Bear's wildly popular Pokemon collection are rare, so jump on this one while you can.